My first Landmark poem is "Hardys Well" on Wilmslow Road in Manchester. It was painted in the early 1990's. Landmark Poetics was a BBC Radio 4 in February 2015. THE CHILDREN’S HOSPITAL AT THE ROYAL LONDON. 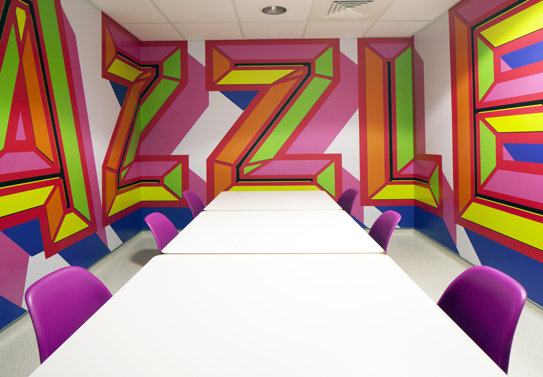 Dazzle was commissioned by Vital Arts for Royal London Childrens Hospital in Whitechapel: it has won awards. The project was led by Morag Myerscough.